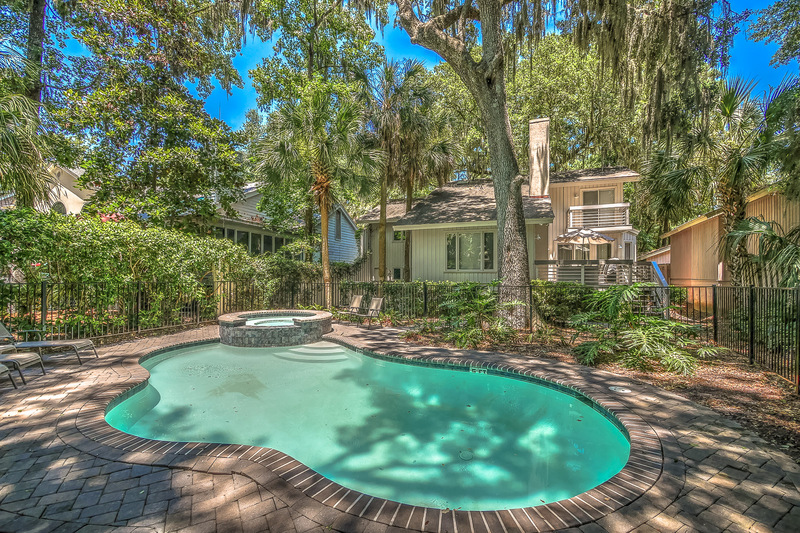 This peaceful 3-bedroom, 3 bath home with private *heated pool and spa has tranquil views of the Galleon Golf Course in Shipyard Plantation. Great location just a short bike ride to the beach. 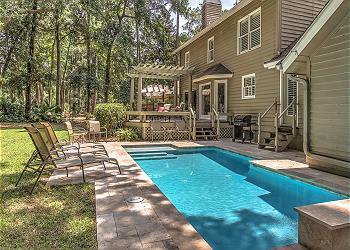 There are plenty of lounge chairs surrounding the upscale pool deck area with elegant concrete pavers. 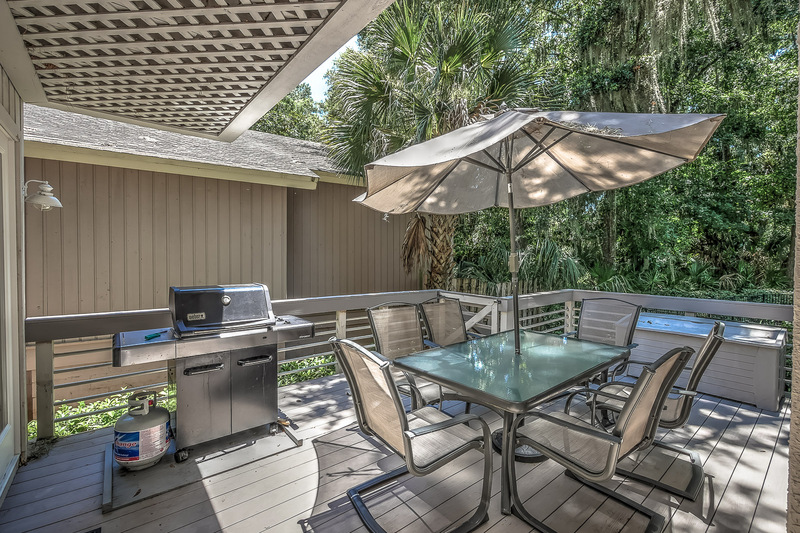 The elevated wood deck has outdoor seating for 6 and a gas grill. 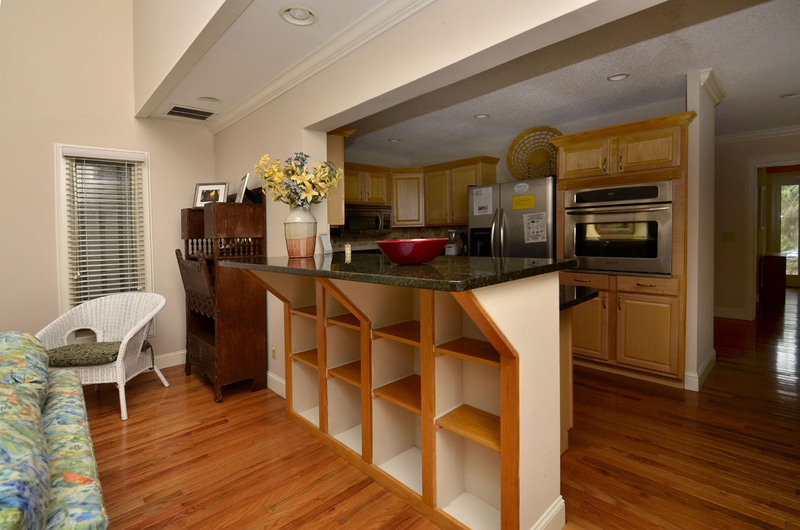 To the right of the front entry, the main level offers a spacious dining room with seating for 8. To the left of the front entry, you will find a secluded den with a queen-size sleeper sofa that accesses to the adjacent full bathroom in the hall. 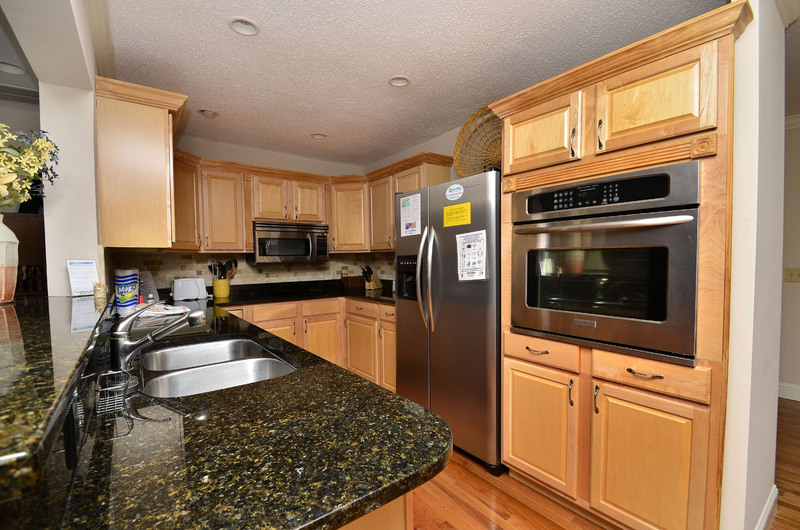 Also on the main level is the updated kitchen, with granite counters and stainless-steel appliances. 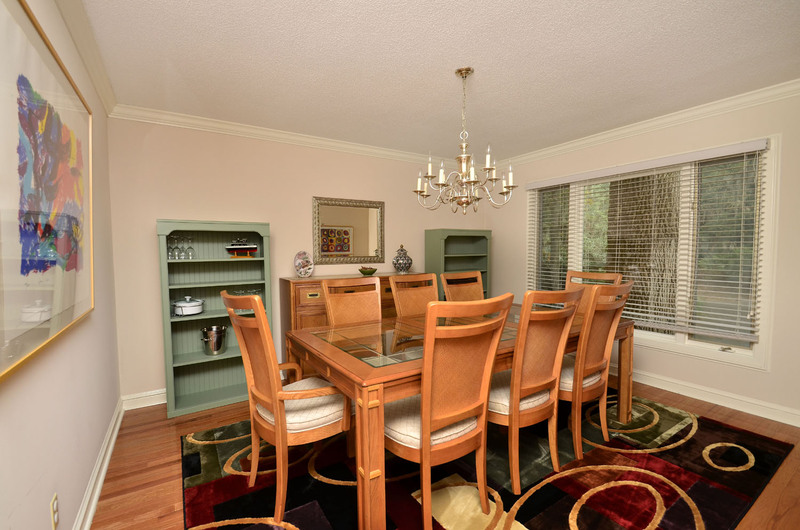 Just off the kitchen is a cozy eat-in breakfast room that seats 4. 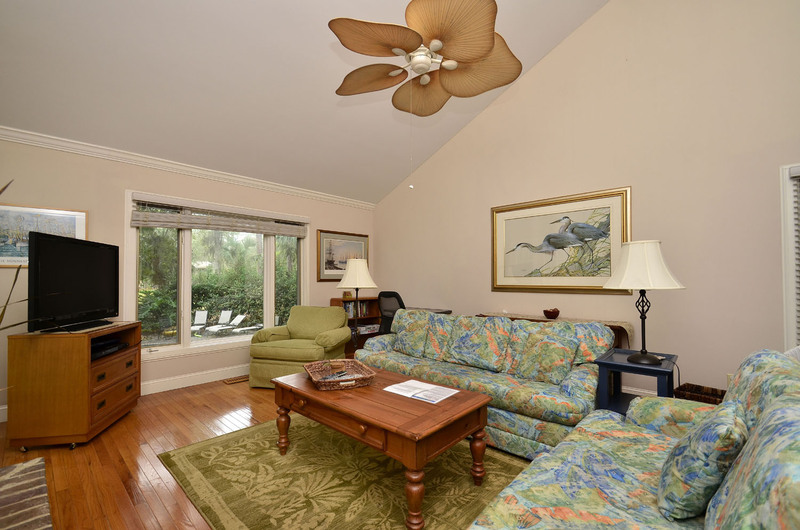 The open living room with flat panel TV has access to the deck and private pool. 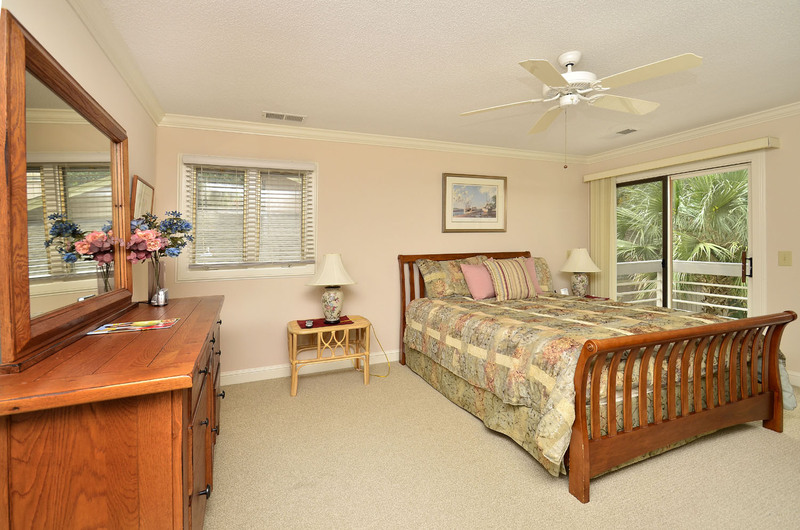 Upstairs on the 2nd level, you will find a queen bedroom and a bedroom with 2 twins that share an adjoining bathroom. The third level is home to the master bedroom with a queen-size bed and en-suite bath with walk-in shower and soaking tub. 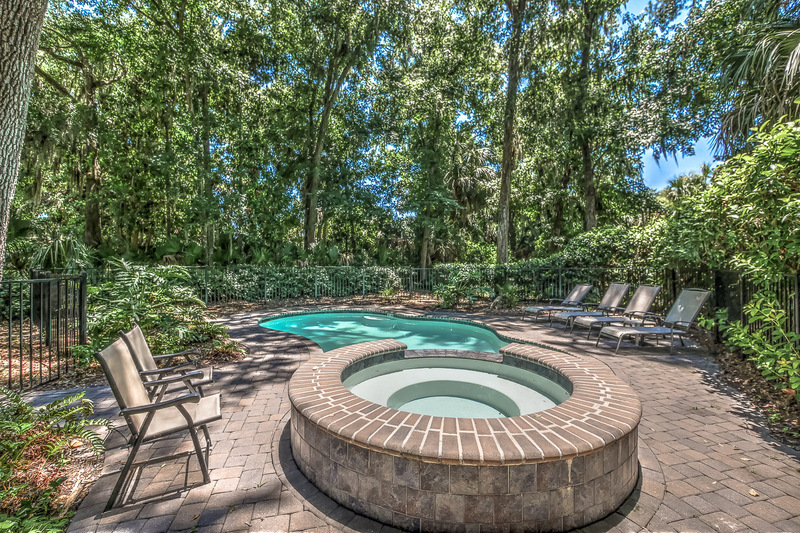 •	Private *heated pool and spa (12 x 22) *This pool & spa have a gas heater and can be heated for an additional fee of $575-$875 + tax per week depending on the season. If you would like to heat the spa only, the cost per week is $225 + tax. •	Garage Access for owners only. •	The fireplace is not for guest use due to liability issues.